Is your cloudy vision preventing you from seeing Jesus? Diane explains. “When He was at the table with them, He took bread, gave thanks, broke it and began to give it to them, then their eyes were opened and they recognized Him . . .” (Luke 24:30-31). The first thing we see, they were depressed, in despair, and at the loss of one they loved. It is so hard when we are consumed by grief; loss of a loved one; But also those of us with chronic illness, find ourselves over loss mourning loss of ability to function, or just the reality of life with continual pain and difficulty. What is clouding their view here? Loss of hope, lack of belief (vs 22-24). Have you, in your chronic Illness journey, ever reached that point? Losing all hope of healing, treatment to help, or spiritual despair that Jesus just isn’t there, you can’t see Him or what He’s doing? Jesus reminded and reassured them through God’s promises in the Old Testament (vs. 25-27). It wasn’t until Jesus reenacted the last supper that, however, “Their eyes were opened.” Perhaps because that was a specific moment in time Jesus said to remember Him by; that familiarity, that closeness, produced the instantaneous clearing of their vision. We too can clear the clouds and fog from our view, when we hold onto His Word, His promises, and His memories of faithfulness and provision in our own lives. Prayer: Thank You, Lord Jesus, for opening our eyes, helping us all to see You more clearly. Father, continue to show us how to defeat those things that would fight to cloud our vision of You, our risen Savior. Amen. Diane Kalata lives in Central Florida, she is blessed to have a wonderful husband, who is also her caregiver in illness, three grown children, one grand baby and more on the way! She is a cancer survivor, but continues to deal with chronic digestive and neuropathic issues. She loves art and writing. Her desire is to continually be an encouragement to others; looking daily for those “God opportunities” to share His love and truth with others. Do you have a time that you did not recognize Jesus in your own life? 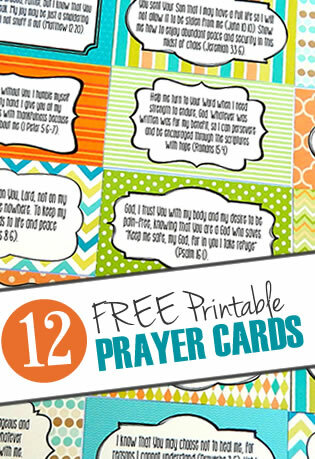 What is a remembrance you can draw strength from when your vision of Him is cloudy? 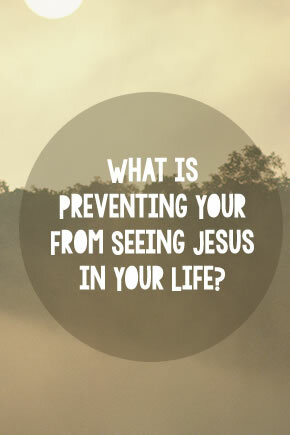 8 Responses to What is Preventing Your From Seeing Jesus in Your Life? Great devotional reminding us of the things that can cloud our vision when Jesus is right there! Very encouraging and “eye opening,” thanks! Great message & reminder for me. 🙂 Thanks Di. I find it incredibly encouraging that the disciples can’t see that it’s Jesus! They, of all people, should have, yet Jesus graciously encouraged them to see Him. There was no anger, indignation or impatience. I’m thankful that Jesus graciously encourages me at those times too! Phew!!! Praise God for the last supper that is so very important for us for so very many reasons! I love your words about how we can “clear the clouds and fog” as we hold on to Him and what we know of Him. Sometimes I wish that was the first thing I chose to do! Diane, my husband preached on this encounter on Easter Sunday! One interesting thing he said, that I’d never thought about before, was that the Guest of the two became the Host, which is highly uncommon. He applied that to inviting Jesus into our hearts as our Lord and Saviour and then saying, in effect, that we didn’t want Him to interfere with a certain area of our lives. I think we all do this. I know I do, even if I’m hardly aware of it. Apparently God had kept them from recognizing Him until the time he broke the bread, etc. I wonder if He allows us to struggle with doubts at times so that we’ll be “forced” to exercise our faith. This would strengthen it, just like exercise makes our muscles stronger. Thanks for reinforcing the lessons of this amazing part of the Resurrection account in the Scriptures Diane.